My sister Beth is noted for her ability to get things done, tackling big jobs and accomplishing them in a short time. 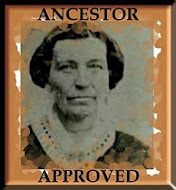 When she called me and offered to help organize our family history records, I was excited at the prospect. The sheer volume of the work that had been done by our Mormon pioneer ancestors and family members was overwhelming to me. My mother was an avid family historian, and she had taught me about careful record-keeping as she checked and rechecked the earlier work. But her untimely death from cancer had left us with much of the organizational work undone. Now Beth's vision of a more usable family history book included the gathering of our family stories into one book. My desire was to make it as accurate and complete as possible. Her drive to complete a hard task complemented my training in slow and careful research. Because of our mother’s love for the work of family history that she had passed to us, we agreed that the appropriate place to start was with a book about her parents. Mom’s influence was obvious as we worked. It seemed that the book should be dedicated to her. As we recognized the enormity of the job we had undertaken, Beth and I enlisted the help of our other sisters. There are eight of us altogether. Each sister contributed what she could. We met on a regular basis and each of us assigned ourselves to the next task on our organizational chart. We transcribed handwritten histories and journals, sent for death certificates and patriarchal blessings, researched the facts of our ancestor’s lives, and tracked down family photographs and stories. We felt that we were making slow but steady progress. But we had not reckoned with the iron will of our maternal grandmother, still living at age 93. Grandma had always been a record-keeper. In her old age, instead of counting sheep at night, she named her children, grandchildren, and great-grandchildren by birthdate. She never forgot a birthday of one of her numerous posterity. When any of her 33 grandchildren had a baby, Grandma was sure to call to get the vital statistics firsthand. As a young married woman, she had even served briefly as a ward clerk in a small LDS ward when no man (the usual choice) was available for the job. Although she was now nearly blind, she wasn't sure she wanted any of her pictures or historical memorabilia to leave her possession while we copied them. Beth’s tenacity prevailed, however, and eventually we organized some of the stories that we had collected into a book that could be read to her. At that point, her vision of our project exceeded ours. She told us that she wanted finished copies of the book made for all of her children and grandchildren. She would pay for the copying. They were to be a Christmas present from her to her descendants, both present and future. Grandma's age never limited her ability to look forward rather than backward. on many different family history projects. Throughout the whole project, we received many spiritual blessings, even miracles. Now, however, as Grandma's challenge encouraged us to quicken our pace, our spiritual experiences were also increased. We met each week to report our progress and receive further assignments, and we also shared some of these experiences. Our faith and determination were strengthened. One sister, who was transcribing some of our great-grandmother's letters, told us she could hear the writer's voice as she typed. Towards the end of her task, she had merely to turn on her computer, and she felt Great-grandma there. Another marveled at the marked increase she suddenly noticed in her typing skills. We felt the presence of angels with us and with our children as they played happily together, enabling us to accomplish the work we had committed to do. We bonded with these great men and women of the past. We pondered their lives and contemplated our own. We became more accepting of ourselves as we recognized the value of our ancestors' daily struggles and resulting strengths. We felt it an honor to be a part of this sacred endeavor. Towards the end of the summer, Beth and I felt an increasing urgency to finish the work. Though.Grandma's plan was to give them as Christmas gifts, she feared she would not be around when December came. Her health was deteriorating day by day, and she called us often to check our progress. Finally we set a date to take them to her. Though it seemed we could not possibly finish in time, we knew that we could not fail her. We dropped everything else and worked continuously for three days and nights to finish. The last night, we slept in shifts to prepare for the eight-hour drive to her home in Las Vegas, Nevada. When we arrived, she was being cared for by her family members, and we were greeted by our sister Brenda, who is a nurse that specializes in hospice care. Our car was loaded with boxes of photocopied pages of family history, but we were saddened to find that Grandma had taken a sudden turn for the worse. She faded in and out of consciousness and was very weak. We felt a strong desire to be close to her, and we started laying out our papers on her bedroom floor to collate. Round and round her bed we went to pick up each story in order. Soon, though, her steady stream of family visitors necessitated moving our operations to the dining room table where we wrapped each copy of the thick book of loose leaf pages in plastic wrap, ready for distribution to Grandma’s family members. We knew that she could not wait until Christmas to give her gifts, but as always, her children, grandchildren and great-grandchildren were a high priority. She was determined to follow through on this project. She had made it hers as well as ours. We tiptoed in to tell Grandma that the books were ready. She smiled and thanked us in a weak voice. She was aware of what we were doing, though her usual supervisory tendencies had been curtailed. 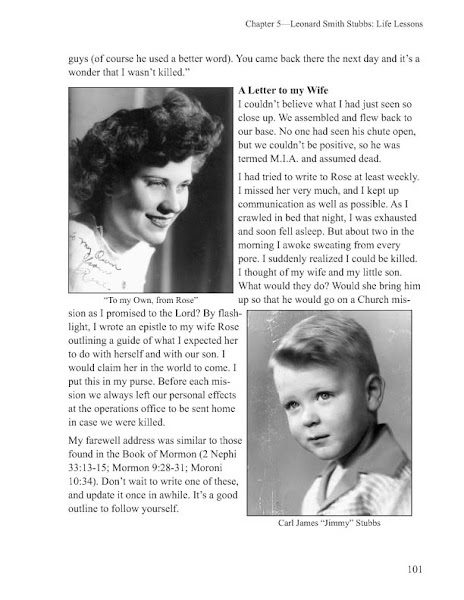 A few days later, as we drove back to our homes in Utah, we grieved at the knowledge that we had said our earthly goodbyes to our beloved grandmother. It seemed that we had facilitated her passing in finishing the task she was so intent on completing. She was waiting for us, we told each other. In less than a week, she was gone. At her funeral family members received their Christmas presents from Grandma early, and our sadness was tempered by the knowledge that our offering to the Lord and to her posterity in her behalf, her family Book of Remembrance, had been "worthy of all acceptation" (D&C 128:25).